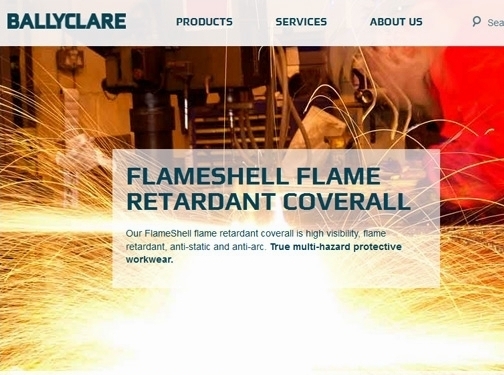 Ballyclare is a UK supplier of high quality workwear, PPE, safety and high visibility clothing. Stocking a huge range of high quality work, safety and industrial clothing for multiple market sectors including police, fire, military, automotive, and more. UK (HQ in Stockport, Cheshire) based business providing workwear clothing. Website includes details of products and services provided, testimonials, client list, highly trusted associations (By Appointment to Her Majesty the Queen, BSIF), accreditations, details of business premises, work examples, full contact details.